Who destroyed Atlantis? In the start of a new storyline, we follow the hunter as he stalks and kills his prey, claiming their weapons and armor as trophies. A golden shield, a golden helm…and the final prize is the most powerful of all: a golden trident. The only problem is, he’s going to have to go through Aquaman to get it. Who is he? What is the secret of Aquaman’s trident? And how does this all tie into the destruction of Atlantis? Part 2 of “The Other League”! As a deadly hunter continues his murderous quest for the Atlantean trident, an unknown chapter of Aquaman’s life is revealed! Before he was a part of the Justice League, Aquaman was Arthur, the man from Atlantis, and leader of a mysterious team of adventurers. 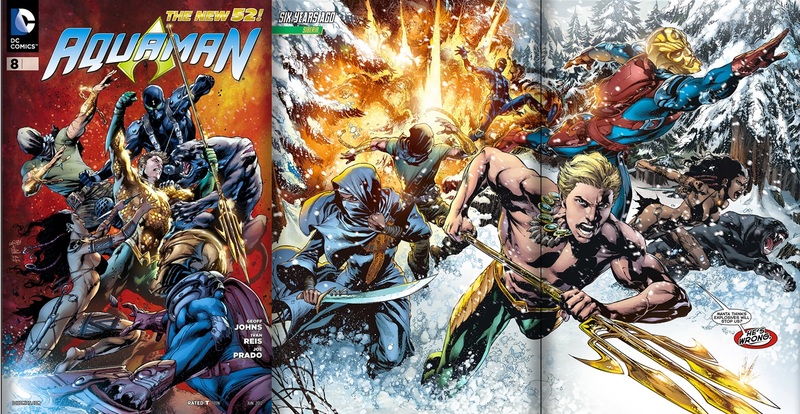 Armed with weapons forged in Aquaman’s past, these men and women were on their way to becoming the most powerful people on Earth – until it all came crashing down. More secrets are revealed about the team AQUAMAN belonged to before the Justice League! 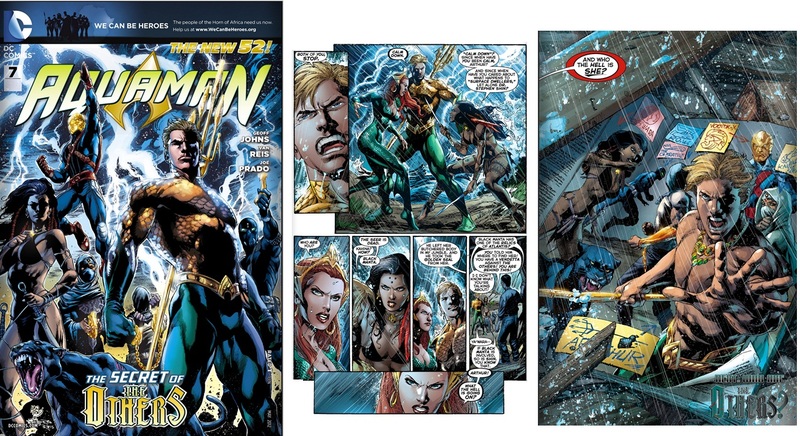 Plus: MERA learns a startling truth about ARTHUR’S past from Shin. The Others are reunited when the hero called VOSTOK-X arrives on Earth. MERA learns more about Arthur’s violent past from SHIN. 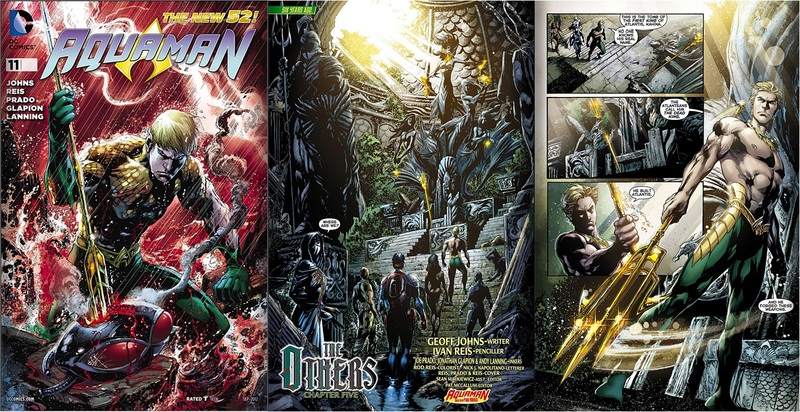 Johns continues to expand on the mythology of Atlantis while filling in the blanks of “The Others” and Aquaman. This issue also cements the hate between Arthur and Manta. The Operative also takes center stage for a cool introduction, art is as detailed as always and those splash pages are a dream, also great looking cover!! 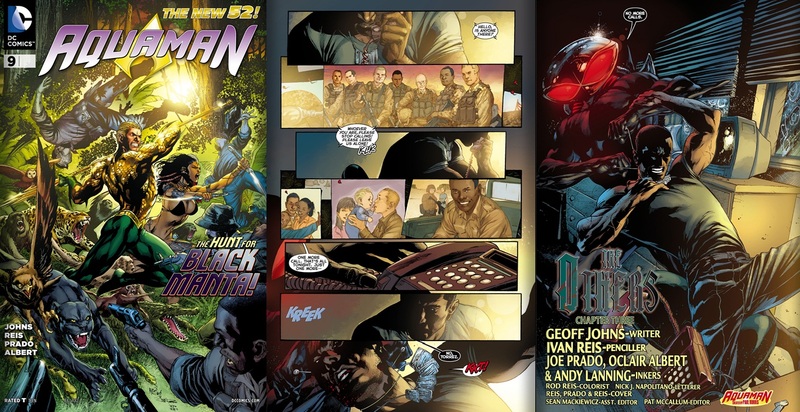 Black Manta is an excellent villain! AQUAMAN and THE OTHERS catch up with Black Manta – but are they really united as a team? Awesome cover! Absolutely gorgeous rendition of Aquaman with his trident through Manta’s helmet with Blood just oozing out while the background is a bloody ominous red, love the composition with Aquaman literally in the center and the logo not obscuring anything! Badass- This has been a guilty pleasure of mine for awhile now. In the past before Grant Morrison Aquaman was a joke. I loved the edge one handed rendition of Morrison but this clean cut version from John is a darker more brooding far more engaging character. I’m interested in seeing where this character is going. 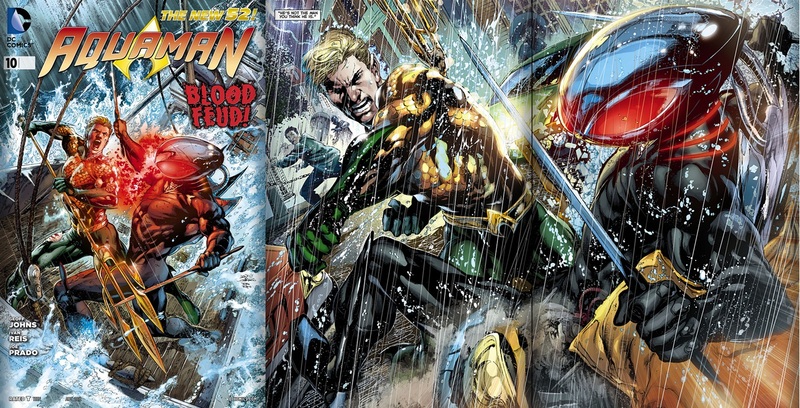 Ivan Reis continues to do stellar work on art.